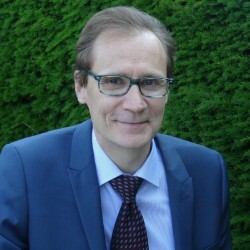 Risto Raivio is a senior expert in European Commission’s Directorate General for Employment, Social Affairs and Inclusion, where he deals with social entrepreneurship. Previously Mr Raivio worked in the European Commission’s DG Education and Culture, where he was successively in charge of the Europe for Citizens programme, vocational education and training policy and DG’s cooperation with the OECD. He has also worked for the Committee of the Regions, an EU body representing local and regional authorities. During the fall semester 2011 Mr Raivio was a visiting EU fellow at the University of North Carolina at Chapel Hill and conducted a study on community colleges’ role in local skills development. Mr Raivio holds a PhD in social sciences from the University of Tampere in Finland.